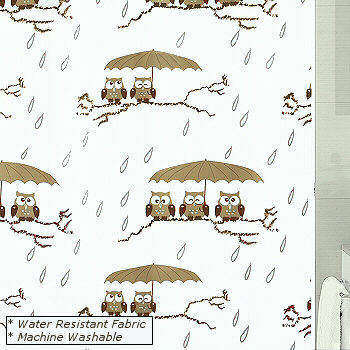 Brown : Whoooooo knew that a shower curtain could be so cute and cool. The cute taupe color owls are doing their best to stay out of the rain. The color range is from taupe to dark brown with a white background.